Audi's Q3, based on the same technology platform as the VW Tiguan, will have a starting price of price of 29,900 euros when it goes on sale later this month. 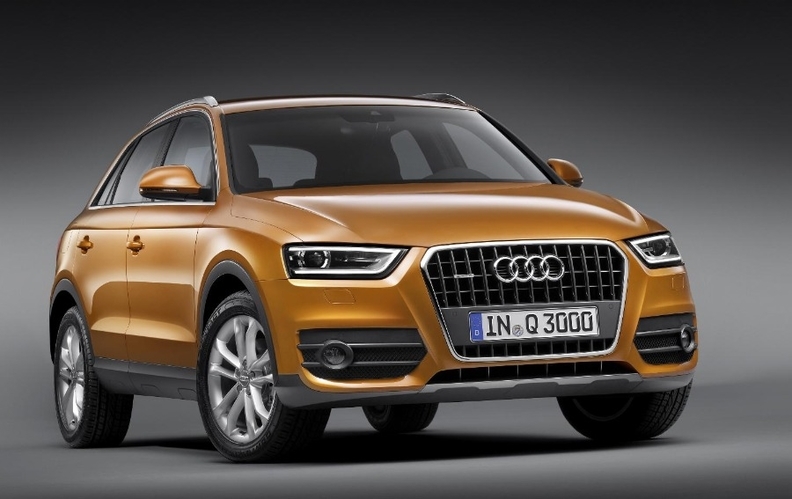 FRANKFURT -- Audi has begun production of the Q3 compact SUV at sister brand Seat's Martorell plant in Spain. Audi expects to produce 100,000 units of the Q3 a year in the plant, in which Audi and Seat have invested a total of 330 million euros in infrastructure and production lines, Audi said on Tuesday. The Q3 compact SUV will compete with the BMW X1 as the two luxury-car makers compete to tap the growing demand for smaller SUVs aimed at urban buyers. Audi aims to challenge BMW's leading position in the segment, which BMW created with the X1's introduction in late 2009. BMW delivered nearly 100,000 X1s in 2010, accounting for 8.2 percent of its overall sales. Audi will begin taking advance orders for the Q3 later this month at a starting price of 29,900 euros in Germany, 2,300 euros more than the X1. The Q3 will arrive in showrooms in Europe in the fourth quarter. The Q3 is 24 centimeters (9.5 inches) shorter and nearly 7,000 euros cheaper than the mid-sized Q5 SUV currently offered by Audi. It is based on the same technology platform as the VW Tiguan. The Q3 will initially be available with three four-cylinder engines delivering up to 211 horsepower. The top engine model has a maximum speed of 230 kilometers (143 miles) per hour and accelerates to 100 kilometers per hour in 6.9 seconds. Production of the Q3 will be expanded to China, Audi said. BMW is currently building a new plant at Tiexi, China, which will produce the X1 starting next year. "We used to think that China is no real market for SUVs, but the success of the Q5 and Q7 have been proving us wrong," Dietmar Voggenreiter, head of Audi's China operations, said at the Shanghai auto show in April, where the Q3 made its debut. "The Q3 will be our entry model to that segment, a city urban car," he said.